The third industrial revolution brought us computer and automation advances. The fourth is all about the connection of digital and physical technologies, including robotics, the Internet of Things, cloud computing, Artificial Intelligence, Blockchain, and more. Industry 4.0 has received a lot of media buzz in recent years. The trends that characterize this new industrial world, however, are far more than spin. Analysts say it’s critical to understand how each impacts your industry, in any industry. Over the next week, we’re going to look at how four Industry 4.0 trends are expected to affect four different industries in 2019. $647 billion is lost to machine downtime every year, according to the International Society of Automation. It’s a particular issue in the manufacturing sector. 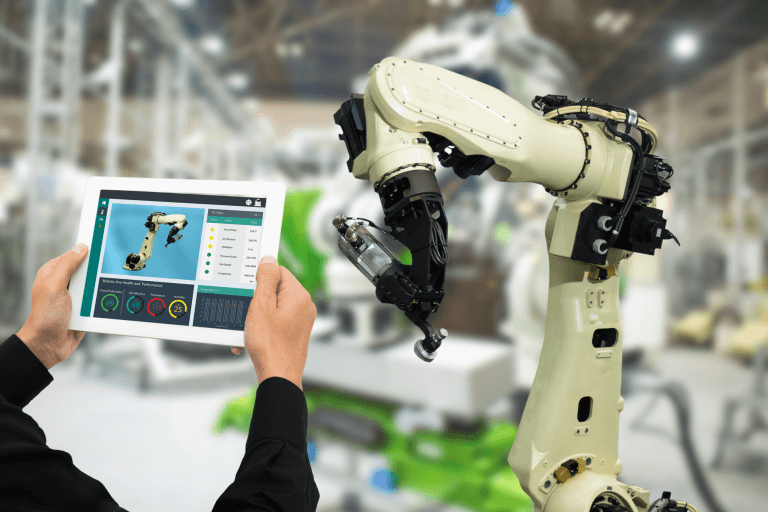 And while most manufacturers already perform preventive or predictive maintenance, the results have been less than ideal, says the International Society of Automation. Enter Artificial Intelligence. Experts say AI and machine learning have the ability to generate more effective, reliable predictive maintenance programs. Through the use of AI and predictive maintenance software, companies can translate massive amounts of data into meaningful insights and data points which can be used to generate optimal predictive maintenance schedules. Blockchain is another Industry 4.0 phenomenon that’s received a lot of buzz. Simply put, blockchain is a continuously updated digital record of who holds what. Information about transactions—the time, date, amount and the participants involved—is encrypted into a “block” that is linked to other blocks to form a chain. Clear as mud, right? Fortunately, you don’t have to understand the concept of the blockchain to know it should be on your radar this year. Throughout 2018, there was a growing discussion around blockchain’s potential to impact and disrupt the energy industry. Proponents of blockchain technology say it can improve operational efficiency and reduce costs across the oil and gas supply chain. It’s a promising platform that has big players like global petroleum and mining company BHP Billiton hosting global blockchain summits. Tim Hanley, Andy Daecher, Mark Cotteleer, Brenda Sniderman, The Industry 4.0 paradox, Deloight Insights, Oct. 10, 2018. Andrew Rossow, “Bringing Blockchain Into Industry 4.0,” Forbes, April 11, 2018. Mark Koeppen, David Shrier and Morgan Bazilian, “Is Blockchain’s Future in Oil and Gas Transformative or Transient?” Deloight Insights, 2018.